If you suffer from spinal stenosis, your first step should be to visit a spine doctor serving Miami. While spinal stenosis can affect anyone, it generally occurs as a consequence of aging. Spinal stenosis can cause persistent back pain, tingling in the hands and feet, leg cramping, and balance problems. Fortunately, there are a number of things you can do to both prevent spinal stenosis and ease any symptoms you may currently have. Keep reading to learn how sufficient exercise, good mechanics, and regular check-ins can reduce your risk of age-related spinal stenosis. Getting regular exercise is one of the best ways you can prevent spinal stenosis from occurring to begin with. As your doctor will tell you, exercise both strengthens your spine and protects it from the wear and tear that accompanies the aging process. Moreover, exercise keeps your body weight under control, which puts less pressure on your back. If you already have stenosis of the spine, relieving spinal pressure is a key part of pain management. Always make sure to properly stretch before exercising to keep your spinal muscles long and flexible. Good body mechanics in the form of proper posture can also help ward off spinal stenosis. Proper posture keeps your back strong and healthy, which is what makes it one of your best options for initial spinal stenosis treatment. Whether you are standing, lifting a heavy object, working at a desk, or even sleeping, it is important to always keep your spine in mind. As you grow older, sitting up straight becomes even more important to maintaining superior spinal health and alleviating back pain. To prevent spinal stenosis, always schedule regular check-ins with your spine center. 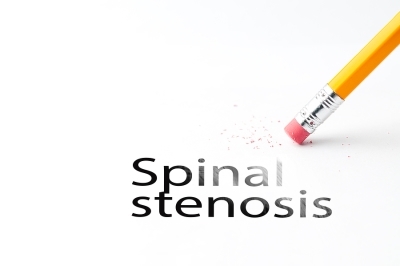 Spinal stenosis often occurs gradually, which means many patients never realize they have it until they are already suffering from serious back pain. By visiting your spine doctor, you and your physician can stay on top of your health. If you do develop spinal stenosis, your doctor can diagnose it right away, for the best possible prognosis.